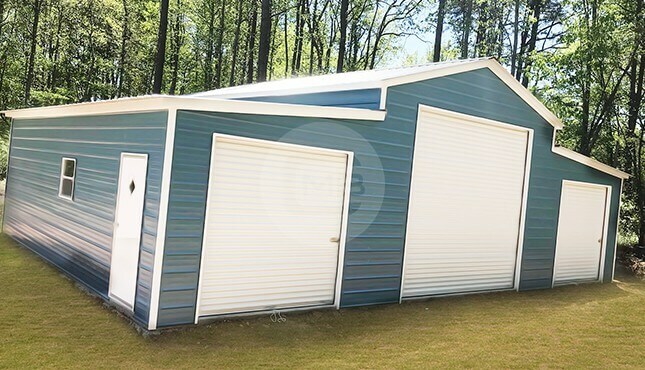 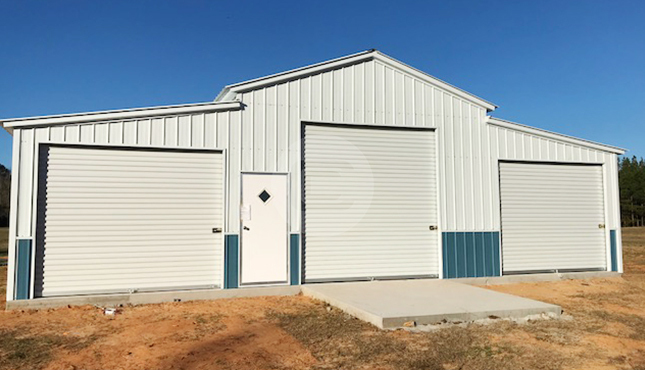 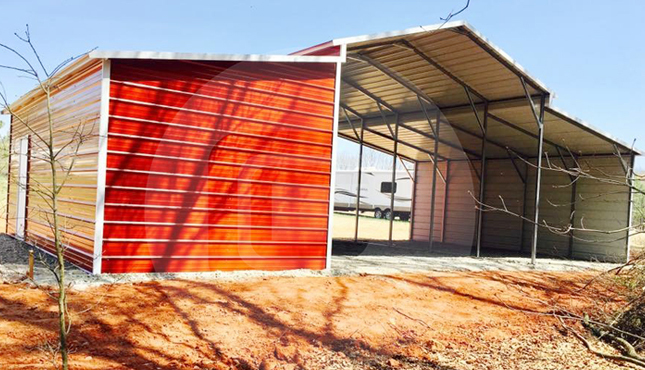 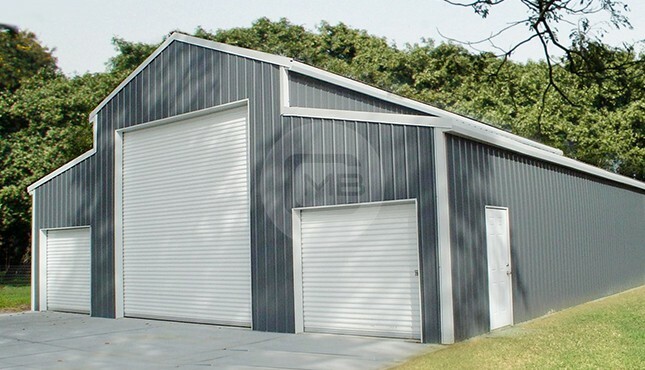 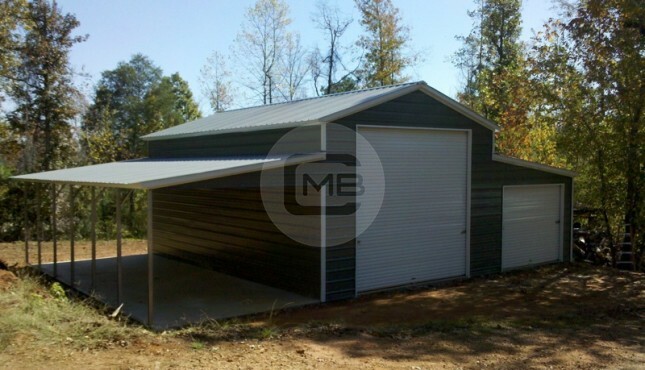 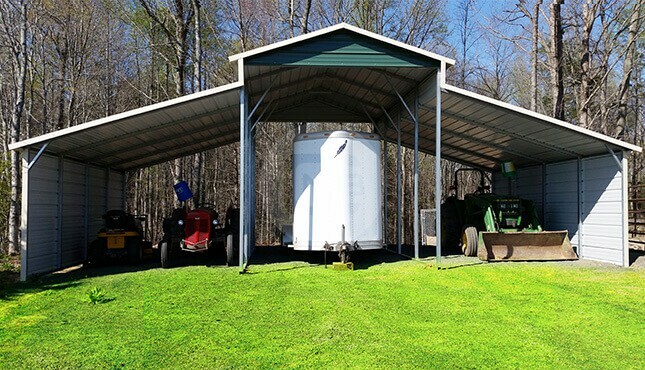 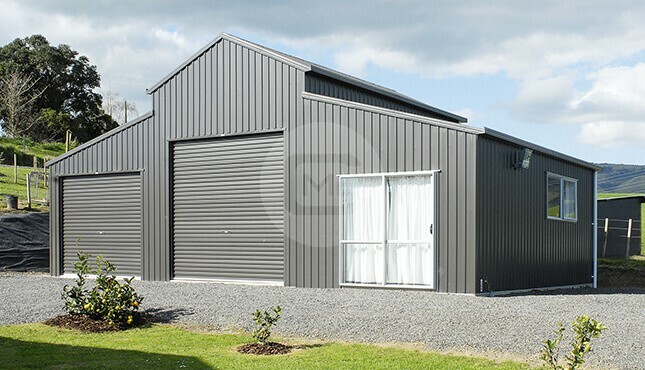 Our goal at Metal Barn Central is to be the industry leader in metal barns by providing well designed, high-quality barns that are both attractive and functional. 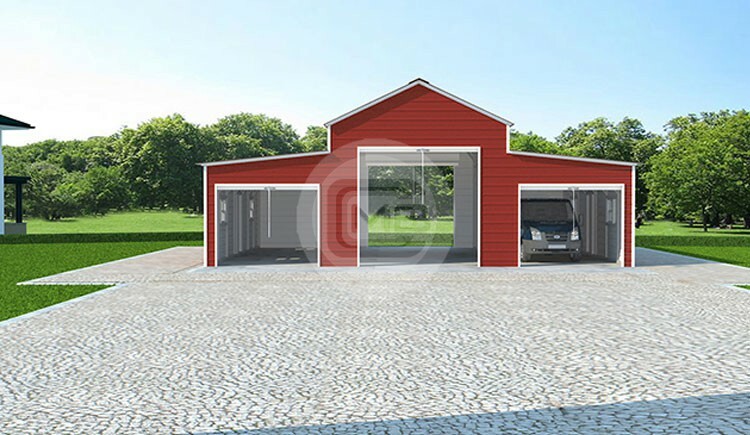 Our designs and barn prices vary so that even if you are on a tight budget, we can help you find barns that fit your needs. 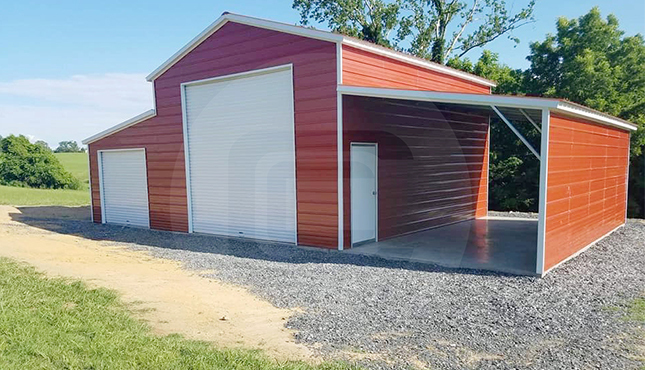 One of our more popular barns is the Raised Center Barn, which is a three section barn that typically has a boxed eave roof style that can also be customized to have a vertical roof style. 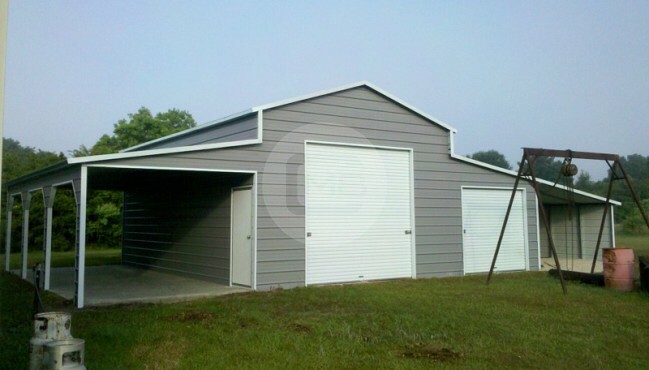 What’s the difference in roof styles? 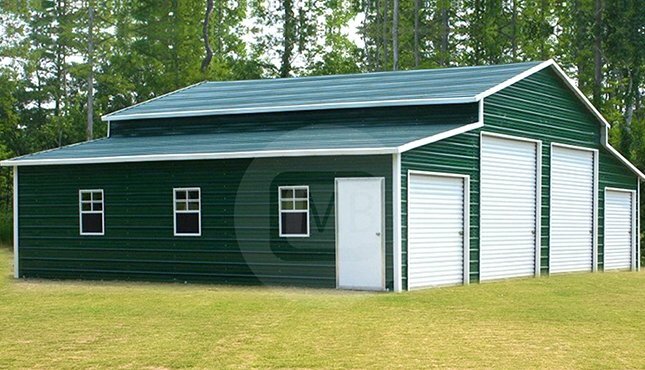 While boxed eave and vertical roof styles look the same at first glance, you will notice that metal barns with boxed eave roof types have panels that run horizontally. 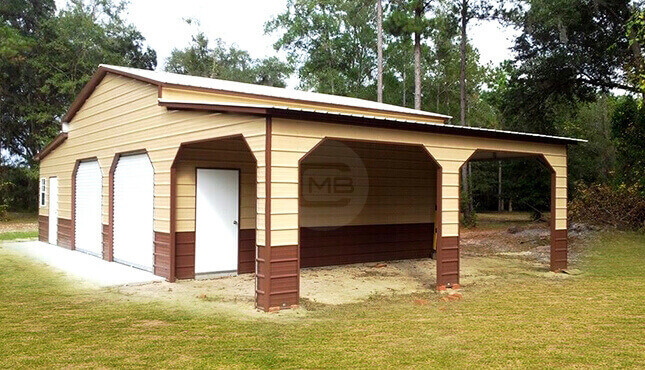 This roof style blends well with the look of your home. 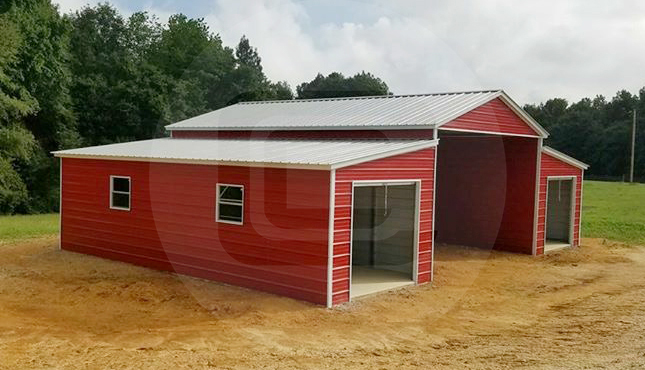 We offer Raised Center Barns with boxed eave roof style with a center unit that is up to 30’ in width. 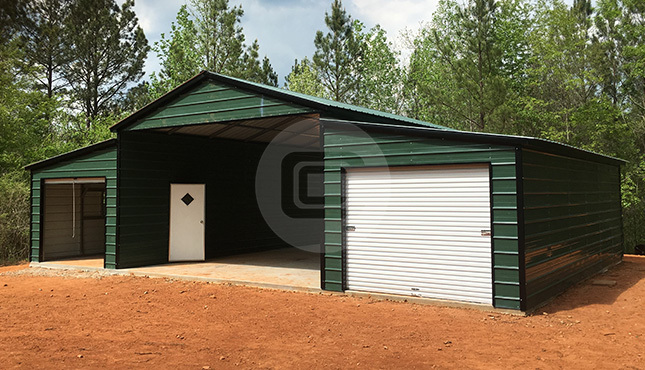 Prefabricated barns with vertical roofs have panels that run vertically, making them ideal for areas that get a lot of precipitation, which easily runs off the roof panels. 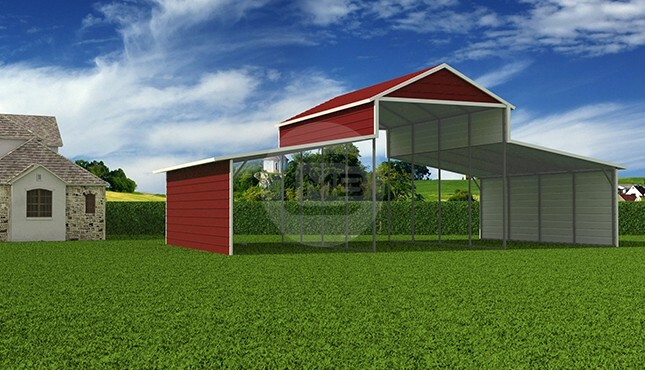 Raised Center barns with a vertical roof style are available with center units of up to 40’ in width. 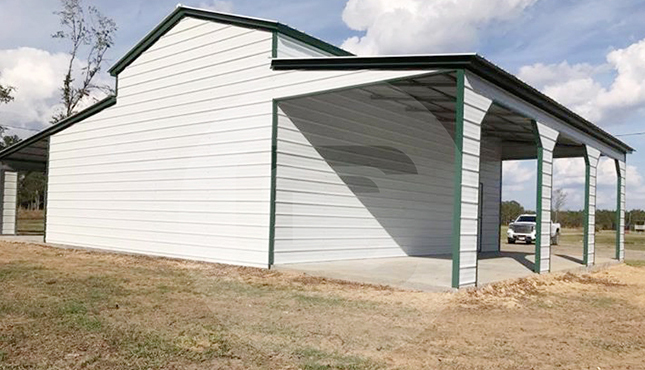 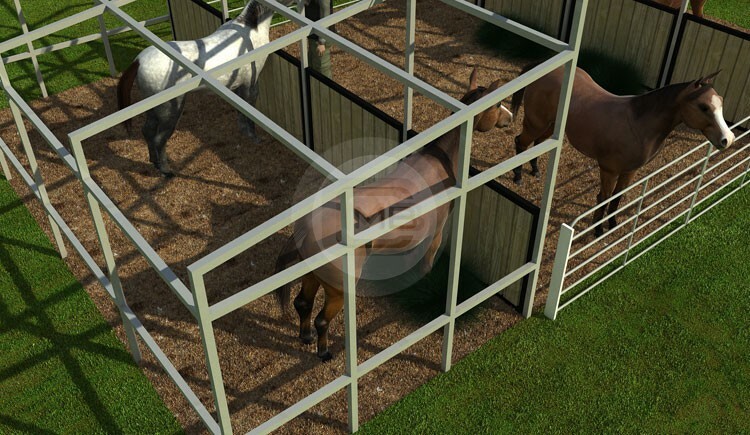 Our custom barns offer a wide array of customization options to help you build the ideal steel barn to shelter your feed, livestock, machinery, and equipment from the elements. 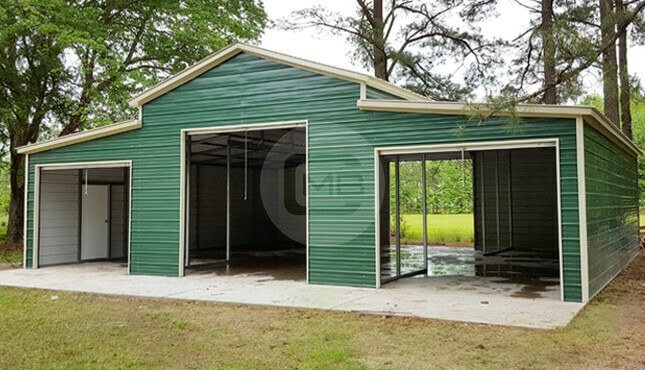 Steer clear of the common pitfalls associated with traditional wooden barns, including warping, cracking, mold, rotting, and insect infestation, which lead to high maintenance costs. 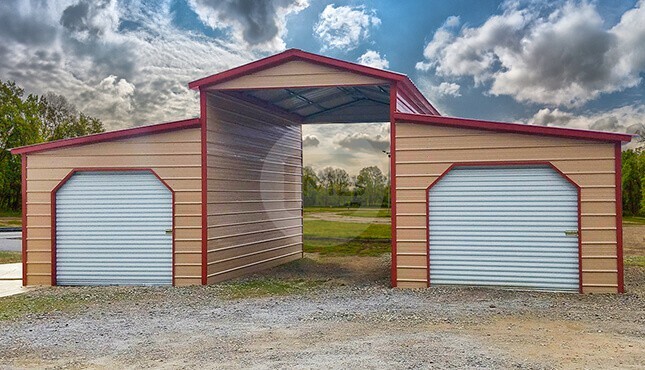 Our metal barns are built to last with virtually no maintenance for years to come and are backed by a powerful warranty against chipping, cracking, and rust-through on our 12- and 14-gauge steel framing. 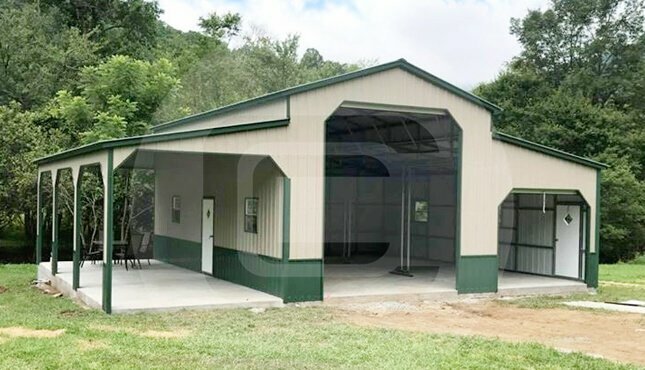 Contact one of our friendly, expert customer service representatives today to start building your new Raised Center barn.